I got to relax and enjoy some quiet time after work yesterday, and prepped for a super busy week ahead. Part of that included making these scrumptious zesty ginger meatballs with some goodies I had left in the fridge. The meatballs turned out incredible and taste so vibrant. The fresh ginger is key and I don’t recommend going the powdered route for this recipe. Don’t skimp on it either. If you like things spicier, leave some of the jalapeño seeds in or add a dash of cayenne for extra heat. Last week was such a whirlwind and it’s hard to believe it’s over. My mom came and stayed with me from Michigan while Jesse went for a visit back home. I was working still while she was here, but we were able to do a lot with my flexible schedule. We had lots of good eating, laughs, conversations and sights. It was loads of fun and we made lots of good memories. To be honest, it was weird coming home from work yesterday and not seeing her. I got so used to that and it was definitely nice. Mix all the ingredients together by hand in a large mixing bowl. 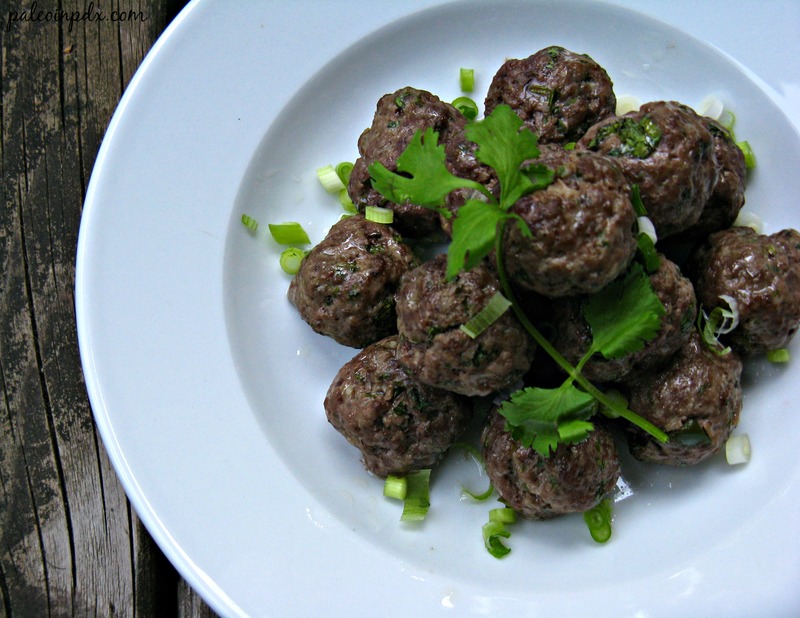 Form into heaping tablespoon-sized balls (or size of choice) and place on a foil or parchment paper lined baking sheet. Bake in a preheated 375 degree oven for 20 minutes or until cooked through. Once done, serve as desired. I recommend serving with fresh salsa, avocado and sautéed greens. 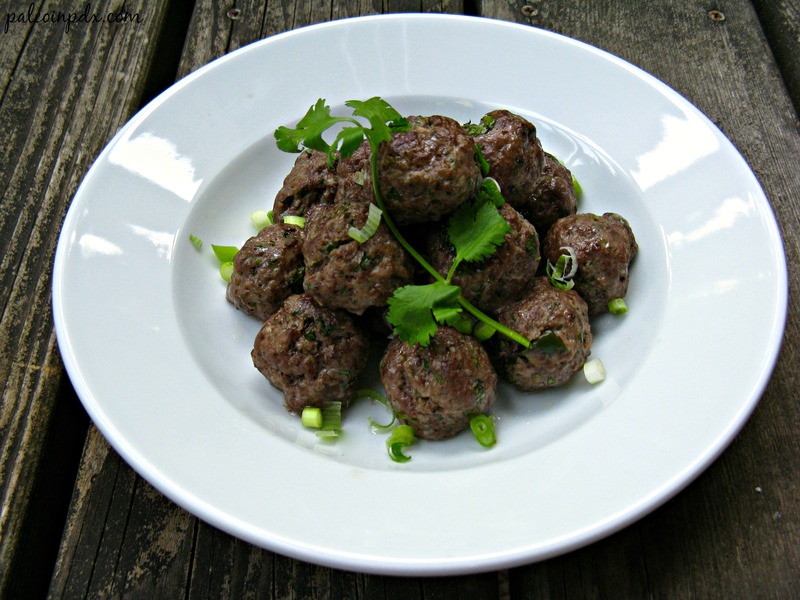 I love ginger and cilantro with beef and this looks amazing! Lots of spices and creamy avocado–I need to give this a try and I know my husband will love it too! Thanks, Paula! The flavor in these is so fresh and incredible. Enjoy! Looks delicious! These would probably be fabulous on some spaghetti squash and some thai sauce. Mmmm. Yes, that would be a fabulous combo!